Helps send Bulk SMS through computers. This bulk sms sender is very efficient at sending bulk sms through computers. To send bulk sms using this tool, user simply needs to connect mobiles to computer through bluetooth or usb. Users can connect up to 2 mobiles. Software detects connected mobiles on its own so users simply need to select the mobile from which bulk sms needs to be sent. The tool boasts of high processing speed and can deliver hundred's of messages in a single operation. This bulk sms sender can double as group sms sender and help users to send group sms to a particular group of people. Most important feature of this tool is personalized message option. Using this feature user can send personalized messages with unique matter to large number of mobiles in a single operation. To send personalized message user needs to follow few simple steps. First of all user needs to click on 'send personalized sms' button to open 'custom message wizard'. 'custom message wizard' guides the user to create and send personalized messages to large number of recipients simultaneously using excel file content. For group sms sending users need to maintain a list of mobile numbers of all members of a group in a excel sheet, so that they can import numbers from excel sheet whenever need arises to send group sms. The tool provides a log file providing all data related to sent and failed message. This data includes numbers, message and time of sending sms. This tool is well equipped to send smses on international mobile networks. Advanced features of this bulk sms software for pc makes bulk sms sending process fast and effortless. Bulk sms senders have wide applications in present scenario. Especially these tools are vital for sms marketing. Bulk sms tools are also used in offices and educational institutions to send sms alerts. These are also being used by governments to spread awareness. This tool is compatible with different windows platforms. 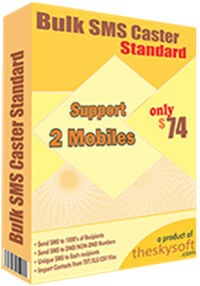 Bulk SMS Caster Standard is an utility that works under windows xp, windows vista and windows 7. It supports both 32-bit & 64-bit windows editions, therefore it could run faster on 64-bit computers. Estimated download time for Bulk SMS Caster Standard on a common adsl connection is less than a minute. 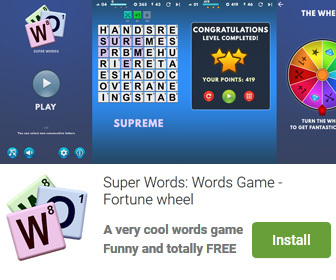 Version 4.5.0 was released eight hundred ninety two days ago by Time Saving Apps. Click the green download button to download it now.